We offer the most popular kid-proof school chairs for your classroom. Hard plastic stack chairs by Virco have been a bastion in the classroom for years. Their strength and durability have made them a popular choice for school use. 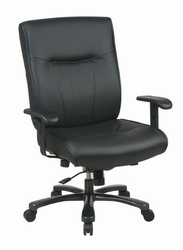 For added comfort try our office chairs and task chairs by Office Star, Boss and Smith System. We even have executive chairs for principals, teachers and office staff. If you don't find what you're looking for or have questions about our school chairs including student chairs, task chairs and office chairs, give us a call 1-800-232-2979. We're happy to make recommendations and help you get the best deal possible.